Student Loans – Hardship Applications. What exactly is it? There is an abundance of confusion as to what a hardship application is. To the experienced Insolvency Practitioner, it is clear. It is an application to the Court to have the student loan included in the bankruptcy and discharged by the bankruptcy when it would otherwise not be. To the student, it is unclear as to what the hardship application is. To some, it is a form that is filled in and sent to the Court/Trustee/Office of the Superintendent of Bankruptcy. There seems to be confusion about what it is. 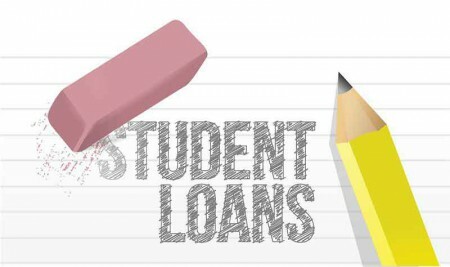 Most students do not appreciate that it is an actual application to the Court where the student will speak to why the loan should be discharged. As well, most do not appreciate the materials required in support of the application. If more than five years have elapsed between the time you ceased to be a student and you go bankrupt a student may make an application to Court to have their student loan discharged from their bankruptcy. This is commonly referred to as a hardship application. It will be up to the bankruptcy court to decide whether or not they forgive your loans. To obtain forgiveness, you must demonstrate “hardship”. Blacks Law Dictionary defines hardship as “Privation: Suffering or adversity”. There is no clear definition for what constitutes hardship; each bankruptcy Court across Canada may use a slightly different definition. However, in general, hardship is a simple concept: having to continue to pay your student loans after bankruptcy would be a financial hardship for you. 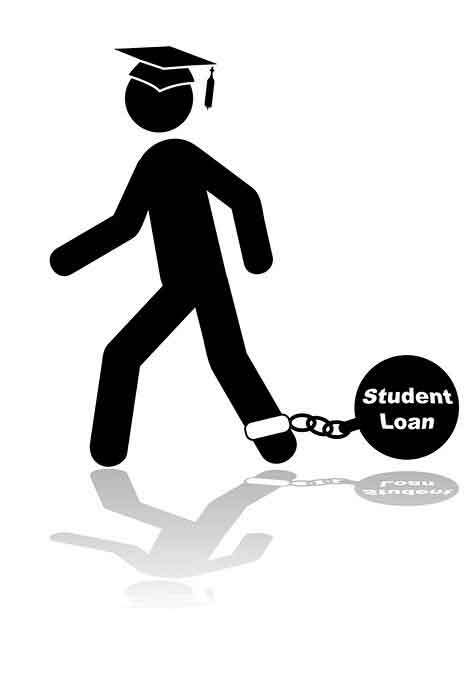 For example, if you were forced to leave school early without graduating, perhaps due to a medical or family problem, and you are now working at a minimum wage job, the Court would likely determine that you would suffer financial hardship if you were required to continue paying your student loan. The Court would consider the benefit you received from your education (in this example, not much, since you were unable to graduate), and your current income (again, in this example, not much). Compare that to the person who graduates from law school, with $100,000 in student loans. On the surface it may appear to be a hardship for them to repay the loans, but if they are earning a significant income it is unlikely that the court will allow for the loans to be discharged due to “hardship”. Obviously most cases are somewhere between these two examples. Clearly the onus is on the student debtor to make the application. But for most, they have no idea about how to even start. As said before, most think it’s an application form sent to the student loans people or to the Court. It is not the Trustee who makes the application but the Bankruptcy and Insolvency Act is silent on who can make the application. Can the Trustee assist the debtor with application? Yes they can in a way that presents all relevant material to the Court in a manner that is objective. The issue then becomes how much should the Trustee get paid or what does the Trustee charge for assisting the debtor. In our practice, we would not necessarily attend at the Court with the debtor as it is not the Trustees application, but we may assist the debtor in preparing and reviewing materials to ensure that they have the information that the Court could reply on. To get the process started, you need to prepare the material that is relevant to the application. The Supreme Court of BC has a guidebook on their website that is available to assist student debtors in preparing the material necessary for the application. This material can be found on their website. It can also be found on our website. But before you do anything you must check to make sure that a Court file has been opened. Speak to your Trustee first. If the Trustee has opened a Court file during the administration of the bankruptcy, you will not be required to open another file. If a Court file has not been opened, the Trustee can assist you in getting the file opened, however, the student debtor would be responsible for the fee that the Court charges for opening the file. Ultimately, the test is that the bankrupt has acted in good faith in connection with its obligations under the loan and will still be facing financial hardship to the extent that they will not be able to make the payments. Was the money used for its intended purposes? Did you use the money to obtain or further your education or was the money used for something other than its intended purpose? Did the applicant finish their education? What was the result of the schooling? Did you finish the program and obtain a degree or did you withdraw due to other circumstances. Did the applicant derive any economic benefit from the education? Did they graduate? Are they working in the field related to their studies or have they not been able to obtain a job in their field? Has the applicant made all reasonable efforts to repay the loan? Have any payments been made. If the only payments that have been made are through the off set of tax refunds, some Courts have held that is not reasonable. What was the timing of the bankruptcy? a) Did the bankruptcy occur very shortly after the five years had expired? Does the Student Loan form a significant part of the bankrupts overall indebtedness. a) What percentage of the debt relates to the student loans? The Court will look at whether the student loan comprises a significant portion of the debt or whether the bankruptcy included other debts. Will the bankrupt continue to experience financial difficulty to such an extent that they will be unable to pay the loan? At the conclusion of the hearing, the Court will decide whether or not to grant the hardship application and have the student loan discharged by virtue of the bankruptcy discharge. The Bankruptcy and Insolvency Act does not give the Court discretion to provide partial relief. It is an all or nothing proposition. The trier of fact, the judge, will take into account the submissions of the parties and ultimately make their decision. Bankruptcy and Insolvency Act, Section 178(1.1), Houlden, Morowetz and Sarra, 2012-2013 annotated Bankruptcy and Insolvency Act, Page 865.